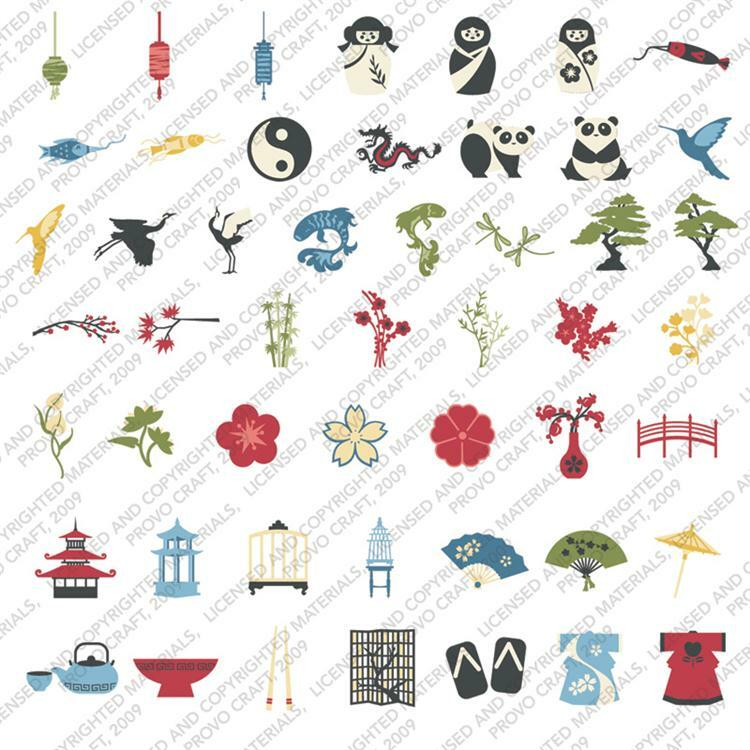 Cartridge Showcase time and we have the amazing Janet from My Cards For You here with some of her wonderful projects from the Pagoda cartridge. I have had the Pagoda cartridge for ages and have not used it very much so I thought this would be a great opportunity to do some projects with it. The cartridge has some great cutting files on it as you can see in this image. Time has been a bit precious lately and I have only done five projects for this showcase, but I have had a lot of fun exploring the cartridge. The first three projects are cards that I made using different elements of the cartridge. The first used the curtain cuts on page 70 of the handbook. I cut the layers of the curtain to fit onto the card. To finish the card, I cut the Celebrate and Kanji Word from page 27. 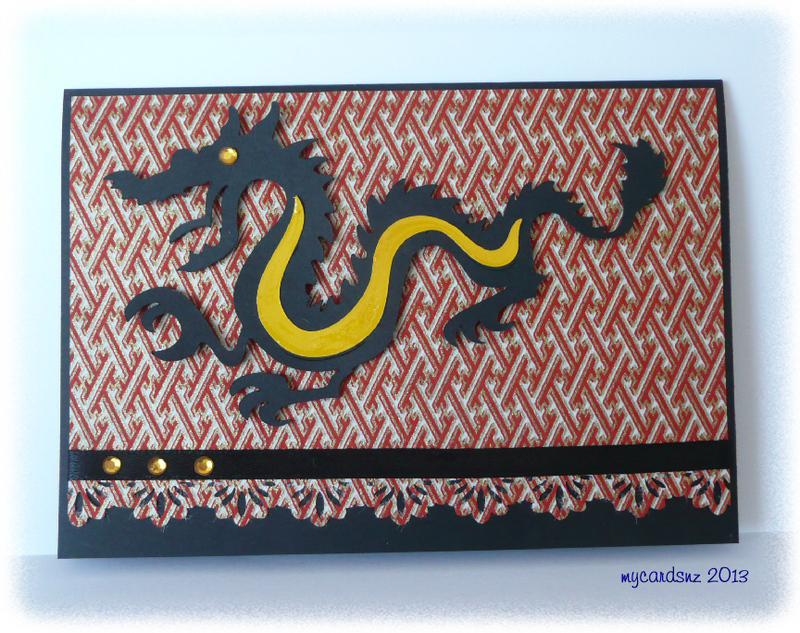 The second card features the dragon from page 34. 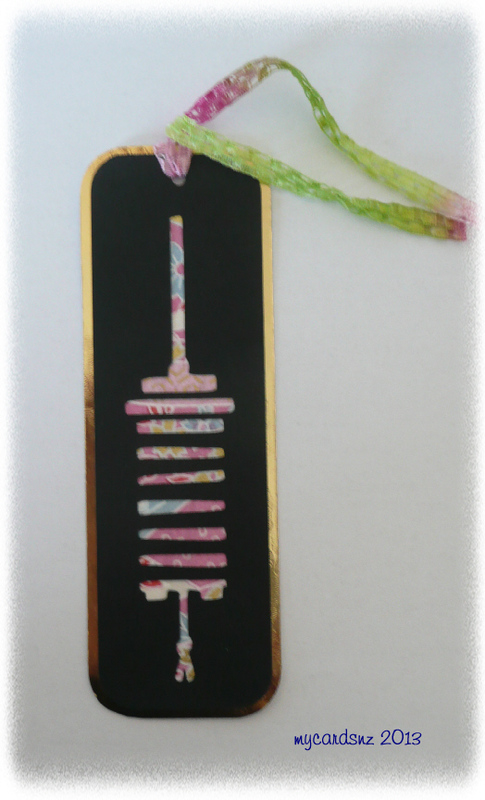 I layered it on top of some lovely japanese paper and added a black ribbon and some bling. 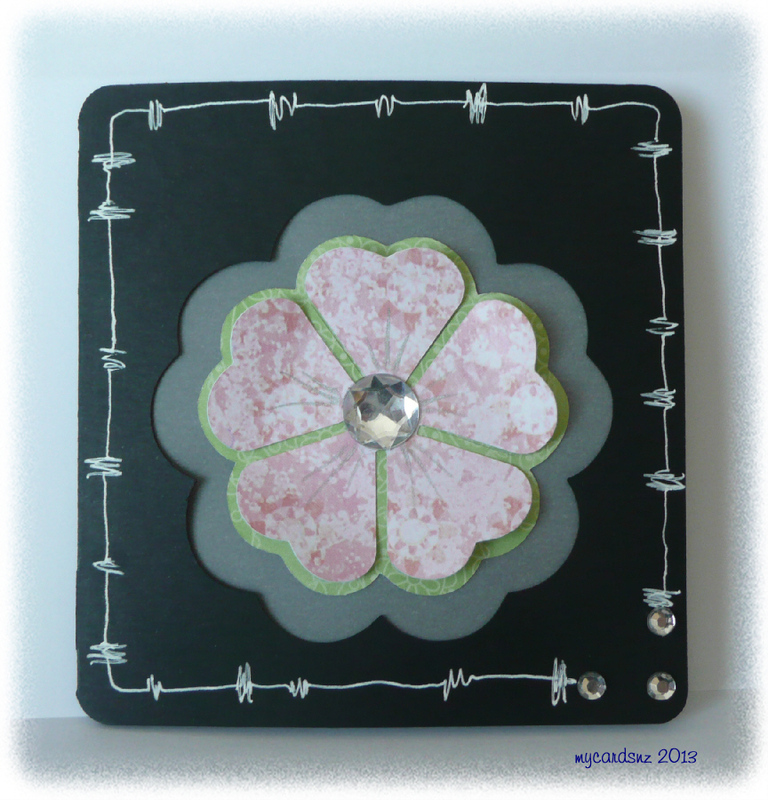 For this card, I used the Card feature with the flower on page 57. 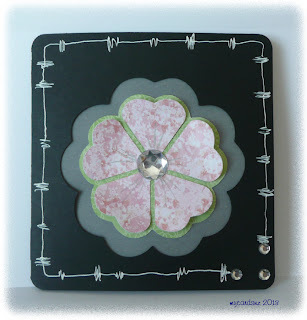 I cut the card in black, then layered some vellum underneath the cutout part of the front of the card.I cut the flower and the background and added some bling to the centre of the card. 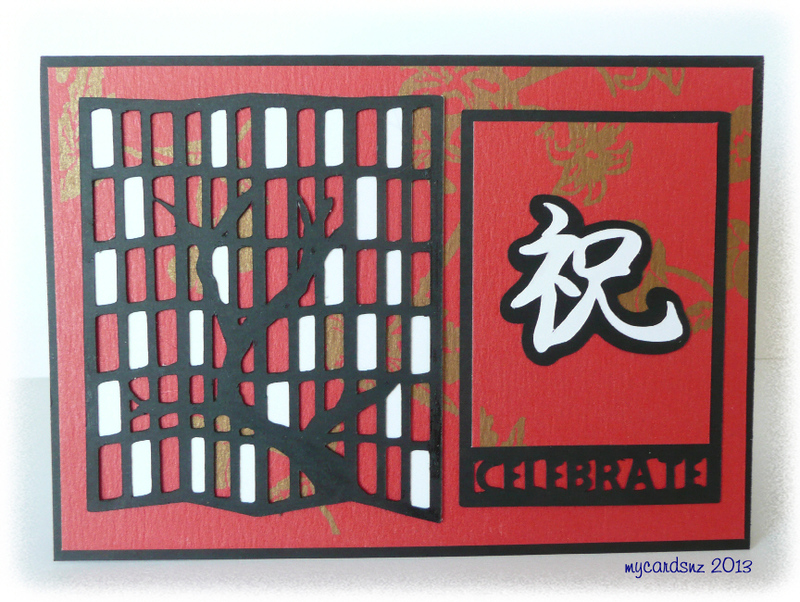 To finish, I added some squiggled lines with a white pen around the edge of the card and some more bling in the corner. Very quick card! 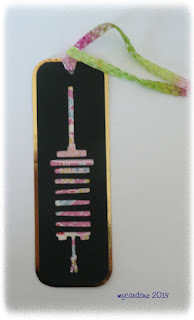 The fourth project is a simple bookmark made using the top layer of a lantern tag (page 26) which I backed with japanese paper then some gold card and added a ribbon to the top. 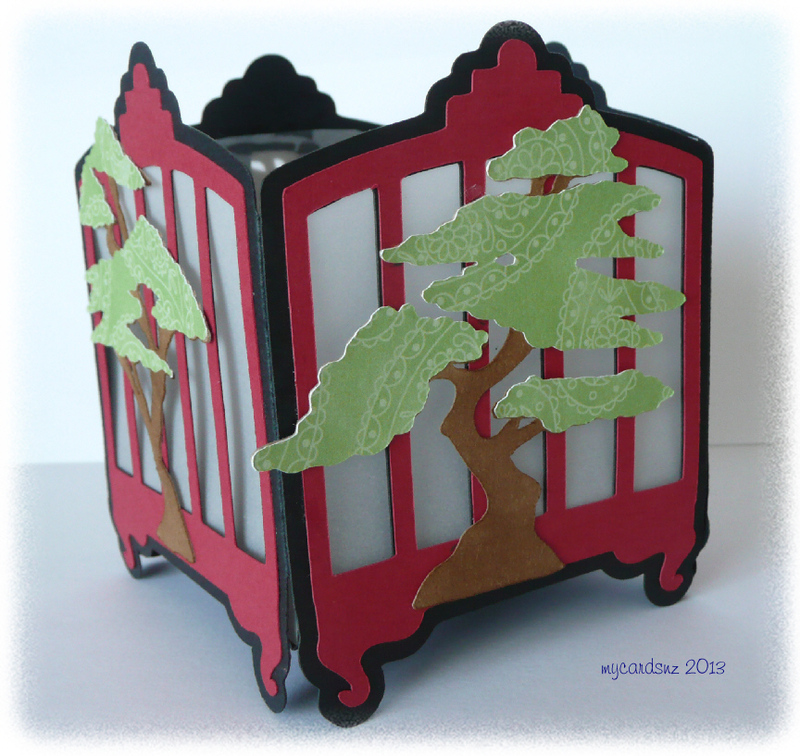 The final project is a lantern or tealight holder that I made using the birdcage from page 62. I cut four bottom layers in black and four top layers in red. Using the Cricut Classroom, I added a tab to the side of the bottom layer so I could join them together into a square. I cut a square for the base (for a battery tealight to sit on) and joined it all together. I added vellum to the sides of the tealight holder to create windows. To decorate the lantern, I cut trees from pages 44 and 45 and added them to the sides of the lantern. I hope you get some ideas on using this cartridge from this showcase. I was definitely challenged by this one, but pleased with the outcomes! What a fabulous showcae this week. Please go visit Janet at her blog My Cards For You to see even more amazing things. Have a great week everyone and come back tomorrow for mor fun. Great showcase, Janet! Love that lantern and your cards are wonderful. Thanks for sharing. What a WoNDERFUL showcase Janet!!!! I love your projects! 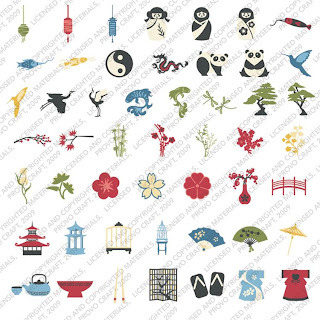 I think my fave is the lantern...very clever! Thank you for sharing your wonderful creations with us! What a great showcase on this cart Janet! I loved your cards and I love the lantern! This cart has been on my wish list for a long time, but I have yet to cave and get it. lol Thanks for sharing your projects with us and for showcasing this cartridge! Oh, these projects are amazing. I have always loved this cartridge! In fact, I think I used it for my debut card when I first joined MPC (formerly CWC). I especially love your tealight idea - it's fabulous. Thanks for sharing all of these wonderful projects.